Cannabis used therapeutically offers a variety of benefits not only for the body, but also for the mind and soul. Over millennium, and based on the premise that the body is designed to heal itself, therapeutic cannabis remains a powerful catalyst for healing. The plant inspires a change of heart and mind by transforming stress, discouragement, pain and several diseases to the felt sense of wellness. It’s no mistake that at this point in time when so much of our natural, worldly and personal-internal systems are out of whack, the cannabis plant makes a strong and confident re-entry to North American society. Cannabis, Cannabis L, is the botanical name of a plant in the cannabaceae small family of plants, one of the oldest cultivated and legal crops. Cannabis has served as a potent and versatile plant for both its health benefits and multiple commercial applications over the course of human history. Some date it back to 26,900 BC from a hemp rope found in Czechoslovakia in 1997. Others cite Mongolia in 1200 BC or Egypt in 3700 BC. The first record of its medicinal use in China was around 4000 BC. Important aspects of the cannabis plant, in both form and function show up in pairs ( i.e. two’s). Based on its use, cannabis is commonly divided into two main categories as marijuana and hemp and includes both. The two main classic sub-species of marijuana are sativa and indica. However, there are also several hybrid combinations of the two. The two most well known of the over-100 molecular compounds in the cannabis plant are, as previously mentioned, tetrahydrocannabinol (THC) and the non-psychoactive cannabidiol (CBD), present in both marijuana and hemp. Marijuana is also biphasic. Depending on how you use it, it can calm you down or freak you out; make you strong or decrease your vitality. The medicinal use of marijuana is a world apart from its recreational use. In many cases, the lower the amount of THC used in any medicinal formulation, the greater the desired effect. The saying is: Start low; go slow. Treatment is never one-size-fits-all because the current status and interaction of someone’s body, mind and soul are primary considerations. The cannabis plant is an “adaptogen” type of plant as are many others including, (but not limited to), American ginseng, yerba mate, reishi mushrooms, rosemary and aloe vera. All adaptogen plants are: 1) non-toxic, 2) respond as needed to reduce stress, and 3) have the ability to stimulate and balance bodily functions by either decreasing hyperactive systems or increasing and strengthening weaker ones. Historically, the whole of the marijuana plant was used for the purpose of making a beneficial impact on a person’s overall, general condition beyond symptom management. This is a different thought process and approach from conventional medicine that will isolate specific plant compounds to manufacture a pharmaceutical to target only one organ or bodily system. When the whole plant is used medicinally, a synergistic benefit occurs in the body via the interaction of the THC, CBD and its other less understood compounds. Also known as the entourage effect, this synergistic action accounts for why cannabis’ therapeutic use can provide relief to a wide variety of conditions. There are many different delivery systems available for using cannabis. They include sublingual tinctures, concentrated extracts, inhalation via smoking and vaping, suppositories and edibles. The ratio of CBD to THC in any given formula depends first on the person, and secondly on the issues to be addressed. Pain relief. THC is the active ingredient in cannabis that blocks pain. Many who suffer chronic pain conditions get relief from THC that they could not get otherwise. Appetite stimulant. THC works in the brain to stimulate appetite. It is helpful for those suffering from wasting diseases or undergoing chemotherapy. Sleep aid. THC in small therapeutic doses helps induce relaxation and promote sleep. Anti-inflammatory. When THC interacts with the central nervous system, it changes certain proteins and disrupts genetic expression. The THC acts as a strong anti-inflammatory. This property is especially helpful for fighting autoimmune diseases where inflammation, as an expression of diseased genetics, causes severe pain. Anti-toxin. Amyloid beta proteins build up in brain cells and block receptor communication for those with Alzheimers. THC has been shown to remove these proteins from damaged brain cells, and prevent them from building up. Anti-cancer. Studies have shown THC has an effect on certain cancer cells that is promising for a potential cure. THC enters the cancer cells and causes them to commit cell suicide. THC does not have the same effect on normal cells. Anxiety reduction. THC boosts the brain’s own natural system for stress reduction by mimicking endocannabinoids, a natural brain chemical. Endocannabinoids regulate anxiety by increasing the level of cannabinoids in the brain. All animals with a spine have something called an endogenous cannabinoid system, aka the endocannabinoid system (ECS). This system is the physiological reason why cannabis can impact human health and wellbeing. THC, first isolated in 1964, is what led to the scientific discovery in the early 1990’s of this previously unknown system, obviously named referencing the chemical compounds associated with the cannabis plant. The ECS is a complex genetically-coded, molecular-signaling system found in mammals. Its primary function is homeostasis (balance of health) and protecting against stressors. A recent breakthrough in understanding human physiology, its importance is said to be hard to overstate. Atypically, the ECS has a bi-modal effect, affecting both the central nervous system and peripheral nervous system. Because it is a lipid (fat-soluble) system, the ECS mediates stress. Its overall value is as a “calm down” message to the brain and body. The ECS is made up of a large network consisting of three main parts: 1) cannabinoid receptors, 2) endocannabinoid molecules and 3) the enzymes that break them down. The thousands of receptors are located inside cells of our brain, lungs, etc. and virtually every tissue throughout the body. The receptors act as an internal communication system picking up information for the purpose of neurotransmitter-message signaling for all physiological processes. Unique messages are sent across the receptor system to normalize body processes to homeostasis, i.e. proper function. The most studied of the ECS receptors are called CB1 and CB2. CB1’s are mostly in the brain and CB2’s are largely connected to the immune system and found in the gut, but are also found in the brain for neuro-protective purposes, especially when it is injured. The ECS receptors are the lock and the endocannabinoid molecules are the key. Endocannabinoid molecules are the naturally occurring molecular-chemical compounds made on-demand in our body. They bind to the receptors to become neurotransmitters. The best known of these compounds are anandamide, which binds to CB1 receptors, and 2-AG, that binds to CB1 and CB2 receptors. Anandamide and 2-AG are accompanied by a naturally occurring internal control system of enzymes: FAAH for anandamide and MAGL for 2-AG. Underlying the human ECS is what is called endocannabidiol “tone.” Over time the ECS can degrade down due to the accumulation of stressors from someone’s lifestyle and diet. Neurologist and medical scientist, Dr. Ethan Russo coined the concept of Clinical Enndocannabinoid Deficiency (CECD) (1) to describe this deficiency. The good news is, we can boost the building blocks of the ECS to increase the body’s internal manufacture of anandamide and 2-AG. Leafy greens, omega-3 foods and supplements, exercise, meditation, acupuncture, chiropractic, cranial sacral therapy, and probiotics all contribute to building and maintaining a healthy ECS. This is where whole-plant cannabis also comes in; its value to the ECS, as mentioned, is as a “lock and key” system. Scientists found that cannabis mimics the same regulating effects on the CB1 and CB2 receptors as the naturally occurring anandamide and 2-AG. Therapeutic dosing of phyto (plant) cannabinoids can rebalance a deficient ECS. THC, like anandamide, binds to the CB1 (mostly brain) receptors. CBD, on the other hand, binds to receptors 5HT 1A and serotonin, fatty acid binding proteins and peroxisome proliferator-activated receptor (PPARS), mostly immune-related receptors. 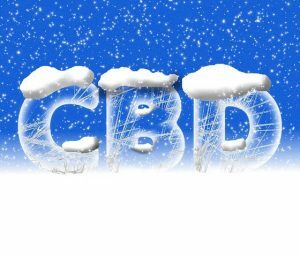 CBD additionally protects and regulates neurotransmitter function and alters the binding of THC to CB1 receptors, lowering, the overall psychoactive effect, and therefore the potential for anxiety, psychotic effects, and certain cognitive deficits. Complex whole-plant cannabis mixtures in the ECS have the power to cast a broad net, and have the capacity to modify many different bodily functions (multi-modal). Such mixtures can modify complex disorders of behavior, inflammation, and immunity that otherwise have lacked response to a pharmaceutical’s single-drug approach targeting only one organ or system. The ECS of the naturally-produced molecules of anandamide and 2-AG (and the cannabinoids that mimic them) are best characterized as molecules that help us to relax, eat, sleep, forget and protect. Effects are real and extraordinarily safe. Both hemp and marijuana enjoy a rapid rise in recognition and respect yet in the United States only hemp has broad legality. Today, growing industrial hemp (the more fibrous species of the plant) is legal in the United States and is increasingly used in the manufacture of clothing, food, paper, rope and CBD oil. Despite its far-reaching therapeutic effects for all species of animals, marijuana has been out of favor (for less than 100 years) in the U.S due to its psychoactive compounds. In 1970, the U.S. Congress passed the Controlled Substance Act designating marijuana a “Schedule 1” drug of the same category as dangerous drugs such as heroin, the criteria of which are: no accepted medical value, is not safe for medical use, and is highly addictive. How did such a beneficial plant get so vilified? Interesting timing, that, a 1936 movie, Reefer Madness, (2) immediately preceded the passing of the 1937 Marahuana Tax Act ( their actual spelling). At the time of this writing, cannabis is legal recreationally and/or medicinally in 33 states, (Utah, and Missouri most recent November 2018), Guam, Puerto Rico and Washington DC with most being “medical-marijuana” only. Alaska, Oregon, California, Colorado, Massachusetts, Maine, Michigan, Nevada, Vermont, Washington State, and Washington, DC are legal for both “medical” and recreational use. Legal access of both varies widely from state to state.